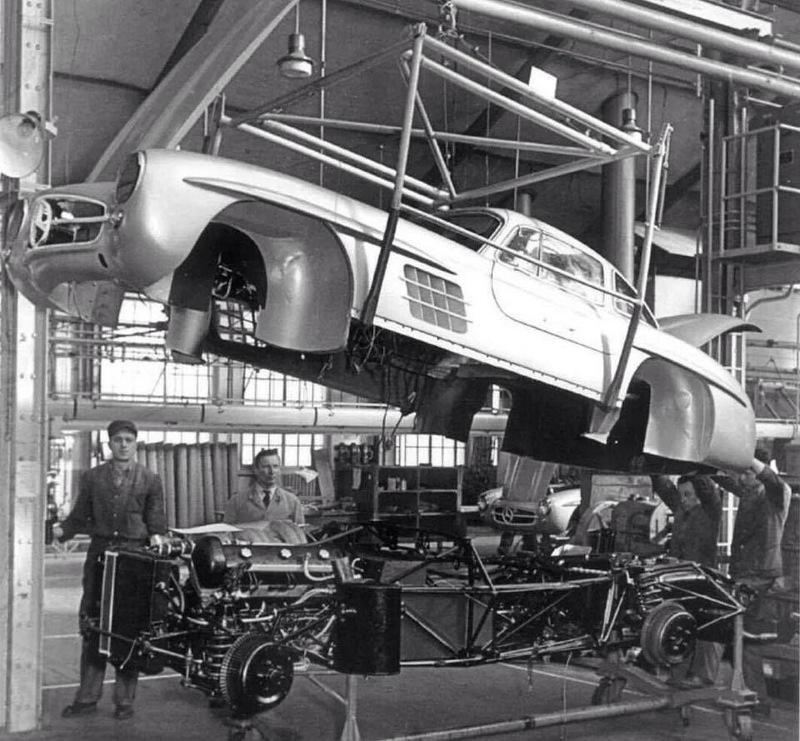 Not too many of the 1400 cars didn’t end up in the US , the cars of Sophia Loren & Pablo Picasso exceptions. 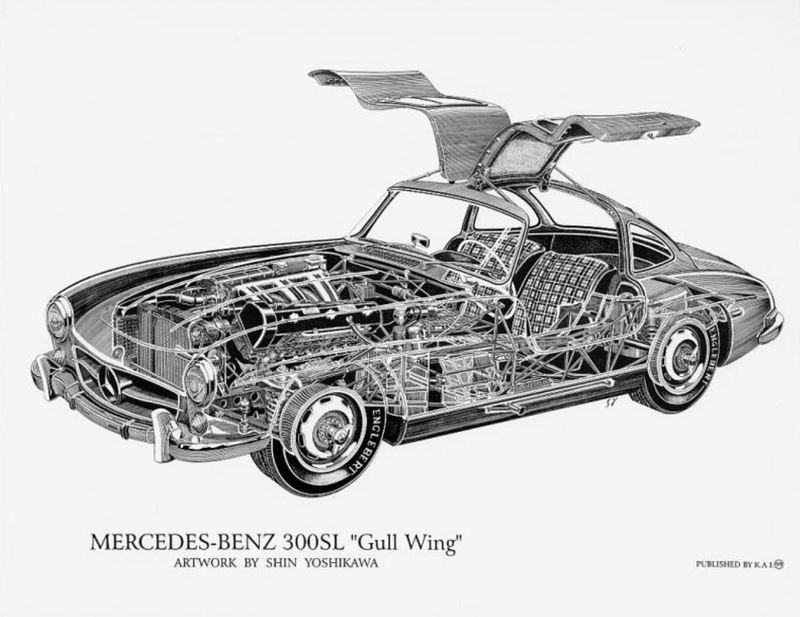 The road going variant of Rudi Uhlenhauts ’52 Le Mans winning 300SL was the most advanced road car of its day ; space frame chassis, the gull-wing doors necessary to clear the frame side members, front and rear independent rear suspension and dry-sumped, fuel injected 240 BHP 3 litre straight 6 cylinder engine made it the fastest road going car of its day as well…and one of the sexiest. A bit like Sophia Loren really.